This art was created for a Sci-Fi book about a galactic “wheeler-dealer” and his sidekick robot Sasha. 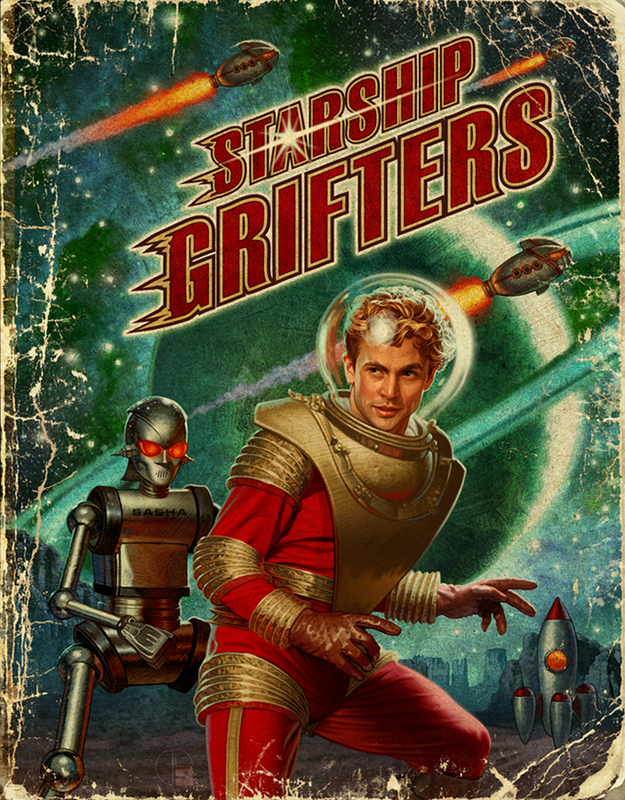 The tone of the book is light-hearted and fun mostly, so the client wanted to channel the old sic-fi pulp covers of the past to communicate the schmaltzy fun to be found inside. I was asked to create the type as well.